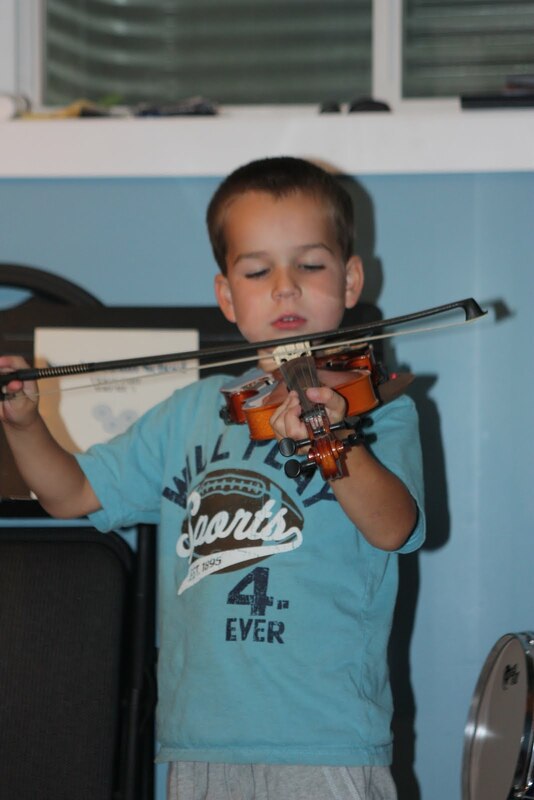 Levi had his very first violin lesson this past week! He was really excited about learning and playing. 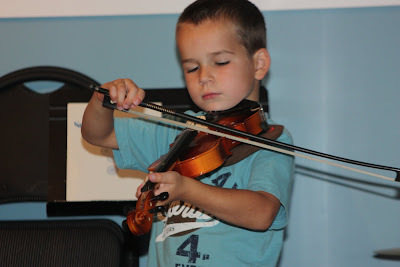 Michael didn't take a picture of him at his first lesson, but here he his practicing for the first time!